Own an unruly horse? Thinking about purchasing a horse but don’t exactly know what to expect once you do? Ever wondered what and how a horse thinks? In Considering the Horse, Mark Rashid tells stories that provide horse owners and potential buyers with the best training solutionsstraight from the horse’s mouth. 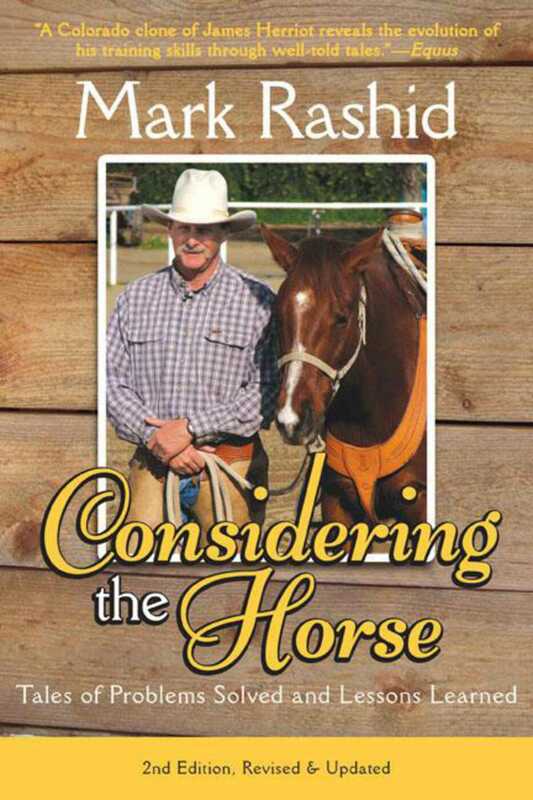 And in the second edition of this classic of natural horsemanship literature, Rashid includes a new introduction and adds new insight on his detailed tips on the timeless yet ever-changing pursuit of good horsemanship. By considering the horse’s point of view, he explores a variety of solutions to common training problems like head tossing, trailer loading, mounting problems, and more. After years of training and teaching, Rashid assures you that you don’t need to sell that rebellious horse of yours, and there’s no need to panic if you just bought a horse with a problem and don’t know what to do. More likely than not, the answers are here for every rider, trainer, or owner.